Did Chevrolet sneak some Easter eggs onto the mid-engined prototype to honor the Father of the Corvette? Chevrolet took us by surprise with its recent announcement that the long-awaited mid-engined Corvette would be revealed on July 18. 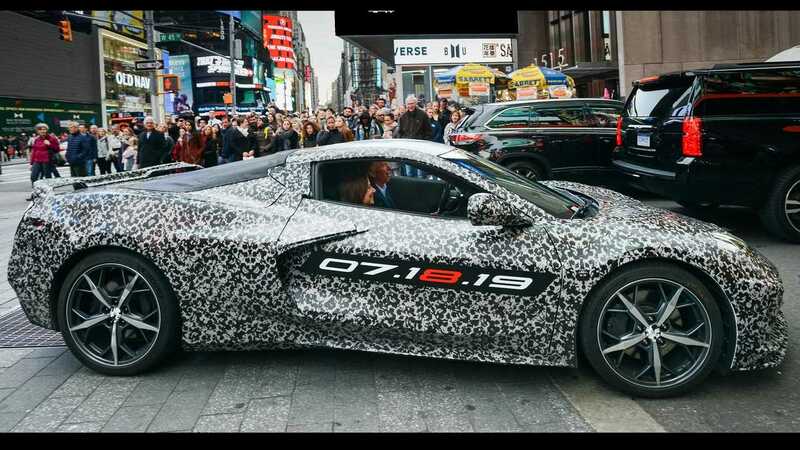 As part of the pomp and circumstance, a camo-wrapped C8 prototype was driven through New York City with the reveal date plastered on the doors. It was part of an event for the Stephen Siller Tunnel to Towers Foundation, where GM CEO Mary Barra also revealed the last C7 Corvette would be auctioned off with proceeds benefitting the charity. Meanwhile, the folks over at CorvetteBlogger.com took a close look at GM’s official C8 photos from the event and came upon a couple of interesting features. 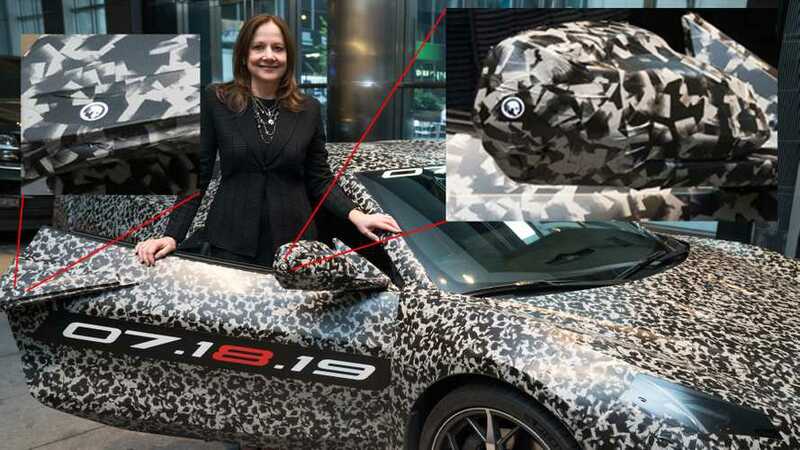 Presumably, they were hoping to find as-yet unknown details about the car beneath the camouflage, but instead they spotted two very small stickers – one on the passenger side mirror and one by the door handle – that reportedly resemble famed Corvette engineer Zora Arkus-Duntov. We shot a message to Chevrolet to see if this is a legit Easter egg, or if our eyes are just seeking order out of chaos. It certainly makes sense to have him somewhere on the car; aside from being known as the Father of the Corvette, Arkus-Duntov was the first – and most vocal – proponent for a mid-engined version of the car. He first proposed the idea in the mid-1960s, and though a few mid-engine prototypes were developed through the years, none ever came to pass. Arkus-Duntov died in 1996, so he’ll never know the fruition of his decades-old vision. It’s not like the C8 just suddenly appeared out of thin air, however – our first sighting of a mid-engined Corvette prototype goes all the way back to June of 2016. Since then we’ve captured hundreds of spy photos, unearthed patent applications for potential Corvette technology, and drooled over numerous fan renderings that seek to peel away the camouflage for a look at what’s underneath. All will be revealed on July 18. In the meantime, can you spot any more Arkus-Duntov stickers on this prototype? Browse through the gallery and let us know what you find in the comments.